One of the fondest memories of my years on staff at The Peoples Church in Toronto was the thrill of singing our founder's hymns. Oswald J. Smith had gone on to heaven before I joined the church but his sermons, books and hymns live on. On Easter Sunday we would often, if not always, sing his glorious hymn, "He Rose Triumphantly". Many times I will sit at my piano and play this song, rejoicing in the truth that He is alive for evermore. Let me share the third stanza and chorus of this majestic hymn of the faith. 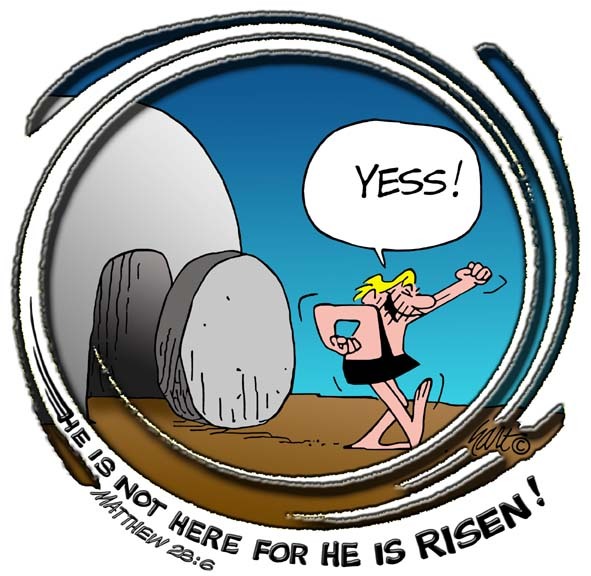 Let's tell "our" world that Christ is Risen! He is risen indeed!